These days being a citizen journalist means a lot more than simply starting a blog and a Twitter account, posting photos or video, and linking to other websites on the topic at hand. Citizen journalists and community media producers are evolving into full-fledged independent media outlets, managing complex content production processes and strategic outreach plans. They are reporting live from the scene with nothing more than a mobile phone, fact-checking social media reports in one country from home offices in another, crunching and visualizing data, and even developing new business models and programming applications. Staying on top of this ever-evolving landscape of approaches, skill sets, and tools is a full-time job that might never let you get any reporting done. Journalism schools are often the last to adapt their curricula to cover these new topics, whereas media training programs frequently discount the realities of practicing journalism in the Arab world. Nevertheless, more than ever, our region needs independent voices skilled at telling the stories of the day over the media channels to which people are listening. Spurred by this need and their own mandate, UNESCO and SMEX are developing an Arabic-language online course and open curriculum for independent media, designed by working Arab digital journalists for aspiring Arab digital journalists. The eight-week course, delivered via a refreshed version of NetHawwal.com, will cover a range of topics, including a review of some basics with a digital spin, and new paths in journalism, such as data visualization and mobile reporting. 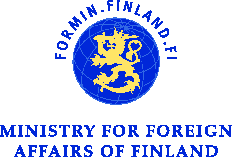 Development of the course is supported by UNESCO in the framework of a project funded by the Finnish Government to promote freedom of expression in the Arab region, as well as the Networks of Mediterranean Youth project (NET-MED Youth)*. 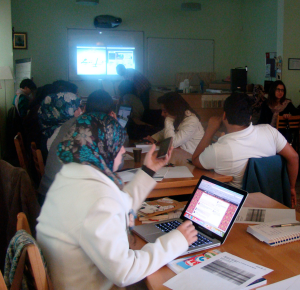 Course topics were shaped in collaboration with UNESCO and 13 Arab journalists who completed this open survey. Course content will draw from existing resources, reports, and guides; and will encourage learners to experiment with novel modes of journalism while developing a new portfolio of work. Participants will also engage with each other through discussion forums and “editorial meetings,” where they can exchange on issues related to ethics and media law, for example, as well as seek guidance during the course. Pop-up hangouts will feature guest speakers, allowing learners to talk to practitioners about the opportunities and challenges they face in the field. In addition, participants will complete a companion course in digital security for digital journalists, which will focus on their safety and the safety of their sources, and will be administered in parallel to the thematic module delivered every week. Participants will set up their workspaces, consider the role of the independent journalist, and the media of their specialization. They will also evaluate threats to their digital security and to their sources’. Participants will observe and practice the differences between writing for print and broadcast versus writing online. They’ll create strong passphrases and learn about password managers. Participants will establish fact-checking and social media verification procedures for their work using the latest tools and expertise on the topic. They’ll also deploy https:// Everywhere and learn how to outsmart malware, phishing, and other dangers on the Web. Participants will experiment with mobile-only reporting methods for a range of story types. At the same time, they’ll learn about mobile security and physical safety. While you can’t learn investigative journalism in just a week, participants will be able to define investigative journalism and will have explored the field by the end of this week. They’ll also gain familiarity with key tools that can keep investigative journalists safe, such as anonymity, proxies, and TOR. Not everything that looks likes data journalism is. Participants will learn to tell the difference and to produce simple data stories on their own. They’ll also learn best practices for encrypting hard drives and using portable apps. Some of the region’s most innovative journalists will share their experience in leading journalism start-ups, as well as offer tips for managing media enterprises. Participants will also learn that sending encrypted email is great for protecting their secrets. Finally, participants will learn to create simple social media and marketing plans to promote their work and establish their brand. They’ll also learn how to avoid being taken offline by distributed denial of service (DDOS) attacks. A pilot version of the eight-week course will begin August 31. Participants who successfully complete the course will qualify for coaching as they pursue a capstone project. Exceptional participation and production during the course will be rewarded with an invitation to an on-site workshop with top-level digital journalists in Beirut. Applicants are encouraged to apply as soon as possible, as space is limited to 100 participants. Applications are invited from any of the following countries: Algeria, Jordan, Lebanon, Libya, Morocco, Palestine, Syria (including displaced Syrians), Tunisia, and Yemen. While applicants don’t have to be professional journalists, participants will be selected to some degree on the basis of journalistic work they have already produced. Likely candidates will have a desire to develop mastery of a specific medium and type of journalism. They might also want to complete for assignments on an international level, develop a journalism enterprise, and/or experiment with new forms of journalism. Most important, they will embody the journalistic aspirations of being fair and accurate, while amplifying the voices of those who have been marginalized by their societies’ shortcomings.Balance in terms of gender and geographic distribution across target countries will also be ensured among selected participants. Please complete the application before July 31 to be considered. *The NET-MED Youth Project is funded by the European Union. Why are Touch and Alfa forcing us to pay for a service we didn’t request? Is this course available for Egyptian nationals? Despite the fact Egypt is not one of the targeted countries in this project, we might take some numbers of application into consideration. Thx for your interest. انا صحافي ومدون عراقي ممكن اشارك في هذه الدورة ؟ انتظر الرد على الايميل الظاهر امامكم .. I am interested to participate, as I am an online content manager and this training would be very helpful to improve my abilities and knowledge in this field.